Boy meets girl romance as seen through a nostalgic musical lens. La La Land might feel like it’s airily dancing its way into the hearts of incurable romantics, but as in Chazelle’s other feature films, it hearkens back to a more serious question: what must we sacrifice to fulfil our dreams and our art, and is it all worth it in the end? 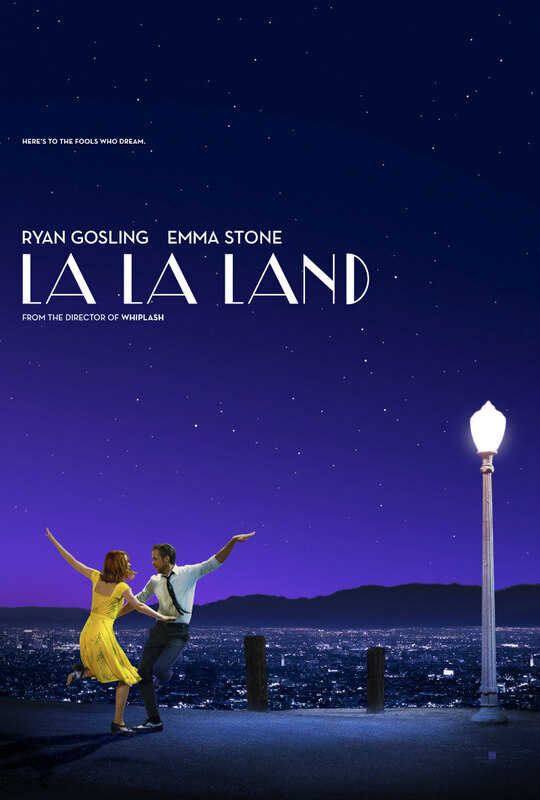 In his new feature, La La Land, Damien Chazelle, director of Whiplash, delivers a musical drama-romance that propels us through his storyline, from thwarted aspirations, through burgeoning love, to success and final heartache, via the medium of dance routines, old-school show tunes, love songs and a smattering of free jazz. If Whiplash used a subdued palette and crackled with urgency and tension, La La Land does the opposite – it is bathed in soft, jewel colours and suffused with warmth and love. It is a romance, but primarily a romance with Los Angeles and with MGM’s golden age of musicals. The accomplished and attractive leads, Emma Stone and Ryan Gosling, strive gallantly to retrieve their screen romance from being almost secondary. La La Land sets out its agenda from the outset with an exhilarating opening sequence set on a gridlocked freeway into Hollywood, starting with car radios switching their stations until the inhabitants of the vehicles emerge and break out in a full, FAME-style production number. We then zero in on the two protagonists and their initial, less than fortuitous, encounter. The movie offers a basic boy-meets-girl plot, which functions mostly as a framework on which to hang the delightful musical interludes – girl and boy hate each other, girl and boy tease each other, girl and boy become strangely attracted, girl and boy fall in love – you get the idea. The film relies heavily on the chemistry and appeal of Stone and Gosling to engage us with their timeless characters, lovers Mia and Sebastian. They sing, dewy-eyed with faces full of yearning. They dance, surprisingly gracefully. After my initial alarm I forgot it was Ryan Gosling up there pretending to be an accomplished jazz pianist and Emma Stone tap dancing around a car park. I was engrossed in wallowing in all the tributes La La Land seemed to pay to almost every musical I had ever seen. “It seems rather nostalgic to me...” says the Emma Stone character at one point in the movie, and it produced the biggest laugh of the film, at least from the audience at the press screening at the London Film Festival. This was because it was exactly what we had all been thinking about the movie we were viewing (hard not to imagine that the line was not deliberately placed in the script, the film-makers being well aware of their nostalgia quota). It’s almost impossible not to enjoy La La Land on some level, but throughout the movie I found myself constantly wondering why that might be the case? The first movies I remember seeing were Sunday matinees at my grandparents’ house. When they wanted a rest from my toddler-type mischief, they would plonk me down in front of an MGM Musical, and for the next hour and a half I would be mesmerised by the movement of the funny, inventive dance routines and the saturated colour of the costumes and scenery. It was all silly plot lines, larger-than-life characters and pure escapism, but boy, did it have this little kid riveted! Perhaps on some primal level, graceful movement and pretty colours are still able to hypnotise us all. The heyday of these wonderfully romantic and escapist movies was from the late 1930s to the early '50s, right through the years of WWII. These kinds of movies prove most popular during uncertain, difficult or austere times. 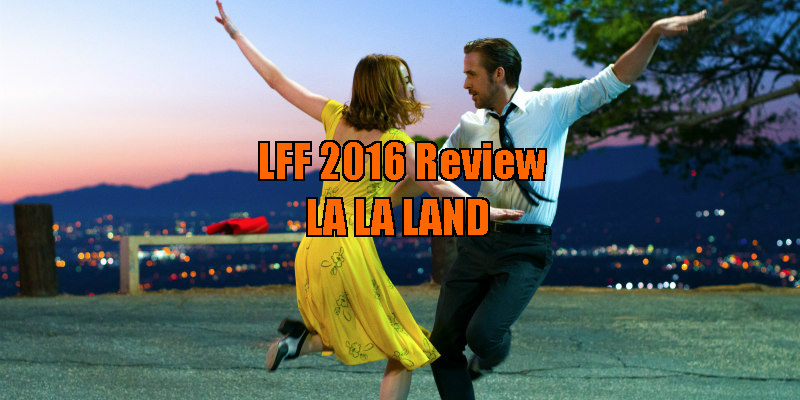 Strange that La La Land, Chazelle’s foray into this most neglected of genres, should hearken back to that same era and enjoy such a positive response from both critics and audience? Might the timing have something to do with it? Aside from that, La La Land is certainly a bravura piece of filmmaking - a grown-up movie musical for a modern audience. Linus Sandren’s cinematography endeavours to distract us from the simple storyline, sweeping us through chiaroscuro, dissolves, silhouettes, backlighting, spotlighting, saturations and an intensely popping, primary colour palette. The dream-like look of Los Angeles in the film is a bit ‘Jacques Demy meets Edward Hopper’, all pastels, twilight, interiors and street lamps. The musical numbers are again dynamically and fittingly scored by Justin Hurwitz.